Humanity is headed to Mars. Well, eventually, anyway. We can't get there right in one go. There's lots of steps along the way, and everyone's racing to be the first to make those steps. You'll be part of that race if you join in on Mars Horizon: Blast Off, a new card game that's up on Kickstarter now. Auroch Digital is looking to the stars. Or, at least, the next planet out in the solar system. 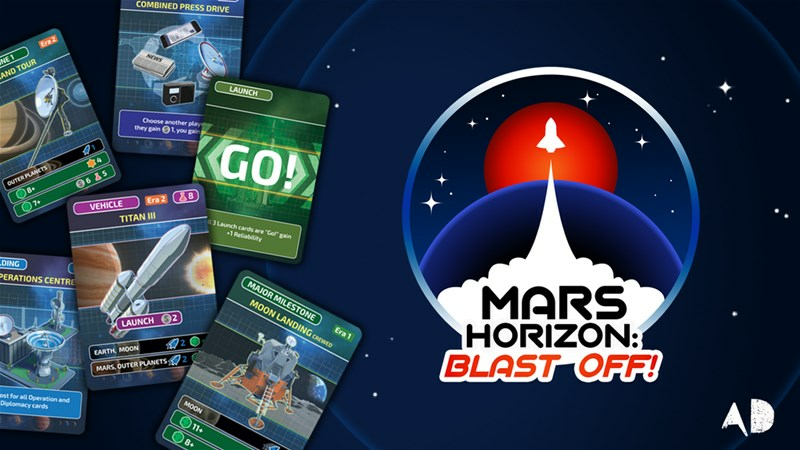 If you've wanted to head to Mars, soon you'll have your chance in Mars Horizon: Blast Off. 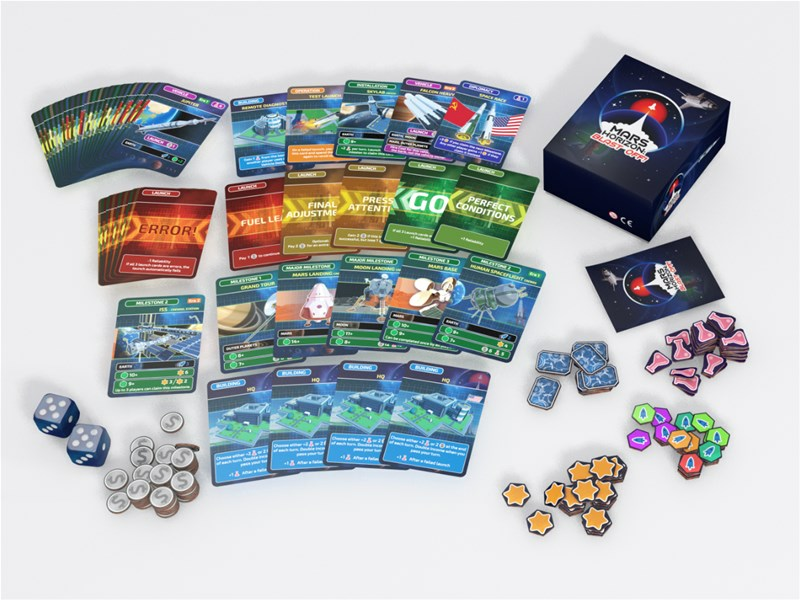 They have announced that they will be blasting off, themselves, on Kickstarter on February 5th.